The French revolution is upon us… Vive la France! Ok, erm… maybe not, but the sales of tea lights are sure set to skyrocket in France now that pro-European Union and professional granny lover Emmanuel Macron has beat French heroine and saviour Marine Le Pen to become the next president of France. While there were plenty of red, white and blue flags waving under the Eiffel Tower from croissant eating liberal millennials after Macron’s 65.5% unfortunate win, you can rest assured that there were plenty of ISIS flag waving in the French migrant ghettos of Paris. An endorsement from everyone’s favourite liberation Barack Obama certainty helped the process of France becoming an Islamic state under Sharia law. It will be a case of more burkas than berets soon in the former city of love and romance. Au Revoir to French culture. Bon Voyage. 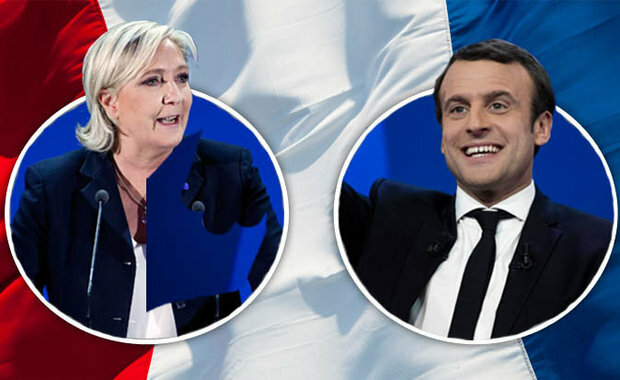 Quoting Ms Le Pen who graciously accepted the vote outcome “France has voted for continuity” in voting for Macron. 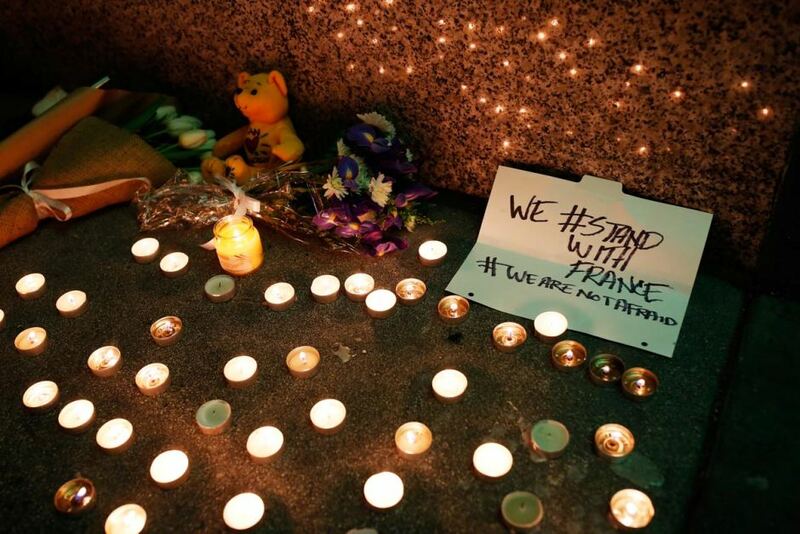 What that means for the people of France is more open borders, more blood thirsty feral migrants and of course, more tea lights to show solidarity when people are maimed and killed by terrorists. And while our condolences go to the people of France for their loss, in voting for Macron they only have themselves to blame. We will not be changing our profile photo or lighting a tea light in remembrance of victims the next time an Islamic Terrorist attack occurs in France. Which at this rate will be very soon, indeed. This is obviously great news for candle stick makers and tea light manufacturers who together have breathed a collective sigh of relief with the news of Macron and his election win. Each potential new French causality of Islamic Terrorism under his administration is a sale of a tea light and a profit to the French bankers in keeping the French economy going strong. Pretty good for a former investment banker of a President. We predict sales of tea lights under Macron and his presidency to double with the amount of Islamic Terrorist attacks planned in the next coming weeks. It’s open season on France now. La resistance have left the building. So, what exactly is the fascination with Islamic Terrorist attacks and tea lights? Well, for centuries people around the world have burned candles in remembrance of loved ones who have died, supposedly as a way of healing the past and bringing hope for the future. Lighting a candle is viewed as a sacred ritual in many different traditions and religions. For those hurrying to the local bargain shop to bag themselves a discounted tea light, there is a soothing, healing effect in lighting a candle. A solitary candle brings light in the darkness; it is also a symbol of the human spirit apparently. Also it strikes fear into the dark and demonic hearts of Islamic Terrorists. There is nothing more petrifying to Islamic Terrorists then the flickering flame of a tea light, especially if it’s lined up beside other burning tea lights and forms the words love or peace. Extra deterrence if you form the peace sign. We are sure those loaded and strapped Islamic Terrorists are quaking in their halal approved boots. Sales of tea lights are predicted to reach extraordinary heights as places to hold future vigils hit an all-time high, with the E.U probably even considering a vigil tax to take advantage of the heightened vigil craze. But fear not, all that means is double the amount of tea lights that will potentially be sold, and remember, that extra tea light profit goes to restoring the crumbling foundations of the E.U. I mean, Angela Merkel has to pay for the extra housing built for those Syrian refugees somehow, right?